The Assassins Creed Hunger Games Map is a map created by the developer FastTime. The map re-creates many of the themes, styles and structures that you can find in the Assassins Creed games franchise. The map will provide up to five hours of gametime, with players finding chests, and killing opponents along the way. The chests in this map are very well balanced, allowing players to parkour their way across rooftops just like Ezio! There is no real way to ‘use’ the Assassins Creed Hunger Games Map. You first of all need to download the map. This is done a little differently on consoles and involves transferring the files over with a USB stick. The Assassins Creed Hunger Games Map can play anywhere from five to eight in-game players. The Assassins Creed Hunger Games Map allows players to navigate around a world similar to that in the popular Assassins Creed games franchise. 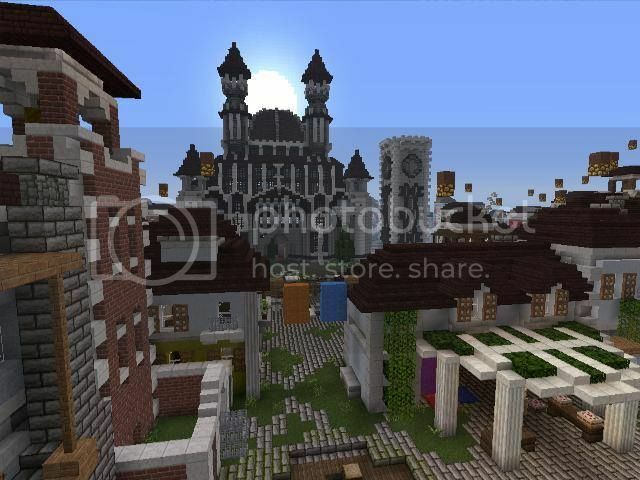 The map is compatible is with a variety of other Minecraft maps and texture packs. Available for the PS3 version of Minecraft only. To install the Assassins Creed Hunger Games Map you need to first of all download it by clicking on the download link below this article. There are currently no public changelogs for the Assassins Creed Hunger Games Map.